Why might you need to invest in land clearing services? Clearing land is an important and crucial to any type of serious land or property overhaul. It is easy to become complacent with the way things are, and feel unjustifiably satisfied with the way a piece of land is. This is where the importance of land clearing comes in. 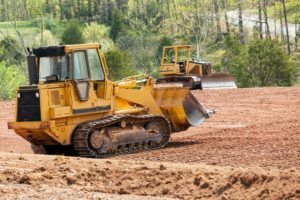 Land clearing can completely turn a property around, and the importance of land clearing and why it is important should not go unnoticed. Land clearing is typically a last resort option when an acreage of land, vacant lot, or area is seen as useless or uninhabitable. There is no longer a use for the land on this property, it is just sitting there being completely wasted, waiting for someone to come in, clean it up, and allow it to be useful. As soon as the land clearing process has finished, the land will be accessible, and can go from a vacant lot, to a park for kids or a brand new apartment building. One of the most important reasons why clearing land is needed is because it makes the land being cleared safer. Often before land clearing, the land is filled with dead trees, rotting wood, and any type of garbage that may be found on the property. Until land clearing is done, the land will be full of hazards and dangers to yourself, people who find themselves on the property, the property itself and neighboring ones. When a property reaches a point that requires land clearing, it usually means that the land is crawling with disease, ready to infect anyone who may find themselves on it. Rotting stumps and trees on the plot of land they are often housing diseases that can quickly spread to other parts of the land and neighboring areas. They also tend to attract pests and termites which does not exactly help the situation. This is why land clearing is so important, as it will make the environment around it healthier. One of the best benefits of clearing land is that it adds an aesthetic appeal to the land itself. Before land clearing, the acreage is often ugly and filled with dying plant life, unwanted vegetation, and trash. Clearing land will begin the cleaning process and turn the land itself it something that will attract the eyes of anyone that walks by. 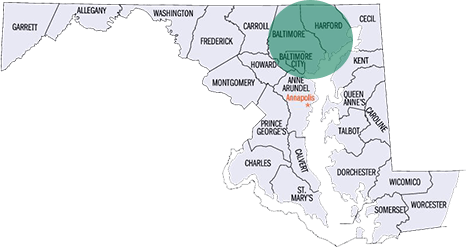 Harford Tree and Landscaping Inc. services Harford County, Baltimore County, and Baltimore City areas. Give us a call at 410-592-7321. If you have an emergency, we are available 24/7 at 443-250-6649. Follow us on Facebook, Twitter, and Google+ for ideas and updates. This entry was posted on Friday, February 23rd, 2018 at 4:52 pm. Both comments and pings are currently closed.